San Antonio has the highest veteran populations in the entire state of Texas. If you are considering a move to San Antonio, Let USVA Realty show you how easy it can be. If you are ready to move forward, press the “get started” button on this page, answer a few questions and then you will get a call from us the same day. When we call we will be calling to get you set up with your local San Antonio VA Realtor. While we are on the phone, let us know if you need help with your San Antonio VA home loan. We can have a VA Lender call you at a time of your choosing to get you prequalified. Usually, they can have you prequalified in less than 24 hours. Although USVA Realty is not a VA lender, over the years we have built a network the absolute best VA lenders in the state. Most all of our clients are veterans and using their VA benefits to purchase a home. We had to become experts at “packaging” the VA home purchase process to make it as easy as possible for our clients. Your Texas VA home loan can be used to purchase a new home or an existing home. Your assigned Realtor will have access to every home listed in the San Antonio MLS. Once we help you find the perfect home, it will take between 30 to 45 days to close. We cover all of San Antonio and its outlying areas. We also provide services to Boerne, Seguin and New Braunfels. If you are not a native of San Antonio, it’s a great place to live and is the nation’s 7th largest city. San Antonio is home to 3 military bases. Randolph AFB, Lackland AFB and Fort Sam Houston. The city is also famous for its River Walk (Paseo del Rio) that runs through downtown just a few feet away from the Alamo. 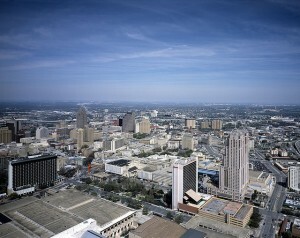 San Antonio is also home to SeaWorld and Six Flags Fiesta Texas as well as many missions and the San Antonio Zoo.